After the first version of A Star Is Born debuted in the 1930s, it appeared every generation would get their own iteration. This led to a 1950s remake and then another in the 1970s. Given that pattern, one would’ve expected a fourth Star Is Born in the 1990s. Apparently the stench of the awful 1976 film kept studios away from the property, as it took 42 years to bring us to 2018’s A Star Is Born. Alcoholic rock star Jackson Maine (Bradley Cooper) craves a post-concert drink while on tour, and he winds up at a drag club. While there, he sees Ally Campana (Lady Gaga), an aspiring singer who knocks him out with her vocals. Jackson then pursues Ally romantically and helps her launch a musical career. As Jackson’s star dims and Ally’s rises, emotional complications ensue. Anyone who saw any of the other versions of the story will know where it goes from there. While the 2019 edition updates matters in a mix of ways and doesn’t slavishly reproduce its predecessors, it still follows the standard template. And that’s fine with me, as first-time director Cooper re-energizes this ancient property. In his hands, Born feels fresh and new. Especially at the start, as the first act is awesome. The scene where Ally eventually comes out on stage to sing "Shallow" becomes the most emotional part of the movie for me because I could feel her nerves and then the celebration of the triumph. It's like my favorite scene in That Thing You Do! : when the various characters hear their song on the radio. There's so much joy in that scene and in the one with Ally here that I really get caught up in it. Once Ally starts to develop a solo career, the film loses some momentum, partly because it drops a focus on her. Until that point, it's a fairly co-equal story between Jack and Ally, but once she ramps up toward stardom, Ally essentially becomes a supporting character and we stick mainly with Jack's narrative. Jack suffers from a somewhat confusing narrative, as it's never quite clear to me why his career declines. Oh, the scene at the Grammys makes for an obvious turning point, but it's clear that he's already fallen from grace prior to that. < And I'm not sure why, as the movie doesn't give obvious reasons why he's gone from A-list to something below that. We can infer it's the boozing and some other concerns, but it's not clear. It's also unclear whether or not we're supposed to view Ally as a sell-out when she goes for pop stardom. The movie implies it, but since Ally becomes secondary after she starts her own solo career, we don't get a good vibe for that. I suspect Cooper left a lot of footage on the cutting room floor, and I'd welcome a longer version that would a) add more Ally and b) flesh out these areas better. Not that I need/want everything spelled out for me, but there's just a little too much left hanging. These gripes aside, I do like the movie a lot, and it's by far the best of the 3 Born versions I've seen. The acting is impeccable and the movie avoids too much temptation to dive into melodrama, no easy feat given the film's inherently tearjerker nature. Gaga really knocks it out of the park with an honest, biting performance. As I said, it's too bad she doesn't get much to do in a lot of the movie, but she brings a terrific turn nonetheless. I'd give the film a solid "B+". 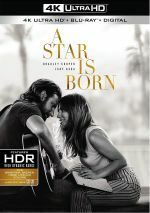 It's a minor disappointment that it meanders a bit after such an excellent first act, but it's still a high-quality movie that becomes easily the best version of Star Is Born yet made. A Star Is Born appears in an aspect ratio of approximately 2.40:1 on this Blu-ray Disc. The movie offered a quality presentation. In terms of colors, Born largely emphasized teal and orange, though stage settings contributed some deep reds. Within the design parameters, the hues came across appropriately. Downconverted to Dolby TrueHD 7.1, the film’s Dolby Atmos soundtrack heavily emphasized music, as the nearly omnipresent score and songs filled all the channels. Effects took a backseat but they added some involvement, mainly during concert sequences. Despite the film’s commercial success, the Blu-ray doesn’t include many extras. The Road to Stardom runs 30 minutes, two seconds and offers notes from co-writer/director/actor Bradley Cooper, music producers Mark Ronson and Lukas Nelson, director of photography Matthew Libatique, manager Bobby Campbell, and actors Lady Gaga, Sam Elliott, Andrew Dice Clay, Dave Chappelle, Rafi Gavron, and Anthony Ramos. 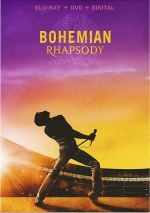 “Road” looks at the movie’s path to the screen and casting, performances and musical elements, Cooper’s work as director, sets and locations, camerawork, and related domains. On the negative side, “Road” indulges in an awful lot of happy talk. Nonetheless, it gives us a decent look at various production issues, and the inclusion of clips like a screen test and a table read balance out the fluff. Under Jam Sessions and Rarities, we find three clips: “Baby What You Want Me to Do” (2:22), “Midnight Special” (2:41) and “Is That Alright” (1:58). The first two offer loose rehearsals of the songs intermixed with movie outtakes while “Alright” offers a tune cut from the final film. None stand out as terrific but they’re interesting to see. Four music videos appear: “Shallow”, “Always Remember Us This Way”, “Look What I Found” and “I’ll Never Love Again”. All present the songs accompanied by a montage of movie clips. They’re decent but it’s too bad none of them get unique performances. Musical Moments acts as an alternate form of chapter search, as it allows the viewer to jump to any of 11 performances. It’s a decent addition. The disc opens with ads for Crazy Rich Asians, The Mule and Fantastic Beasts: The Crimes of Grindelwald. No trailer for Born appears here. 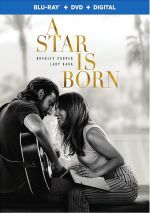 Arguably the best version of the story to date, 2018’s A Star Is Born delivers a bracing, emotional character drama. Abetted by an understated tone and terrific performances, the movie offers a vivid experience. The Blu-ray brings very good picture and audio with a smattering of bonus materials. Born becomes one of 2018’s best films.